Pets bring joy to our lives every day. Whether it’s the excitement your dog shows when you walk through the door after a long day, or the way your cat snuggles up to you while you relax on the sofa, pets give us unconditional love. But sometimes being a pet parent can be hard, especially around the holidays. That’s why PetSafe® has come up with a list of holiday gifts that can make pet parenting easier this time of year. Gathering with family and friends is one of the highlights of the holidays for many of us. If there’s a chance for your dog to run out the door, the PetSafe® Free to Roam Wireless Fence can help take away some of that worry. The Free to Roam covers up to ½ an acre and can help you keep your pet in the yard if he gets outside. 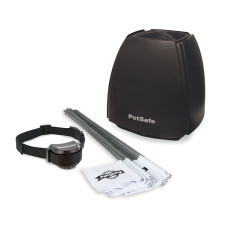 With just a few short training sessions, you'll create a secure boundary for your pet. The holidays can be a busy time. Make sure your dog is still getting the exercise he needs with the PetSafe® Automatic Ball Launcher. The Automatic Ball Launcher can be used both indoors or outdoors, launching between 8 and 30 feet. Your dog will love playing fetch, and the automatic sleep mode will ensure he also gets some rest. With all that playtime, you’ll want to provide a lot of refreshing water to keep your dog hydrated. The PetSafe® Drinkwell® Seascape Pet Fountain provides 70 ounces of fresh, filtered water. 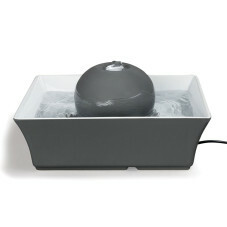 Its soothing flow of water is extremely quiet, making it easily approachable for dogs and cats. The design will fit seamlessly with modern home décor. Your smartphone is always at arm’s reach. Now, so is the ability to feed your pet. 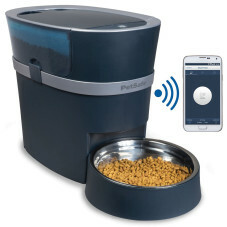 The PetSafe® Smart Feed Automatic Feeder for iPhone and Android is a convenient pet feeding solution for pet parents. Whether you’re at the office, a holiday party or just busy working around the house, the power to feed your pet is in the palm of your hand. Use the Smart Feed app to schedule up to 12 customizable meals a day. The last thing any pet parent wants to worry about during the holidays is the litter box. With the PetSafe® ScoopFree® Ultra Self-Cleaning Litter Box you don’t have to. The ScoopFree® Ultra Self-Cleaning Litter Box is an automatic litter box that stays fresh and clean without the hassle of scooping. The automatic rake system sweeps waste into the covered compartment 5, 10, or 20 minutes after your cat uses the litter box. The special crystal litter, packed in a convenient disposable litter tray, is 5 times more effective at reducing odor than clay or clumping litters. Your cat will always have a clean, fresh-smelling litter box, and you’ll enjoy a home that’s effortlessly odor-free. 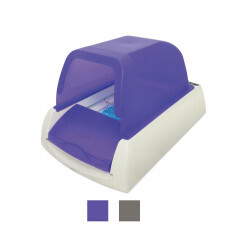 BONUS: Get fresh litter trays auto-shipped to your door when you need them.